Would you like to demonstrate how you can better leverage eSignatures within your company? Hear about real-world deployment experiences from our customers across HR, Legal, Procurement, Sales, IT and Facilities. 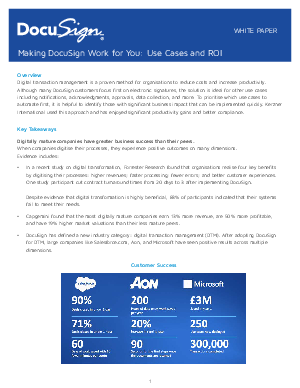 Transformation Manager Paul Smith will discuss how DocuSign fits into the five-year transformation plan at LV=. With eSignatures, the insurer processes claims 5x faster while realising annualised business benefits of £27.5k.